DJ Andy is a name you might not be accustomed to if you've got your head buried deep within the European Drum and Bass scene, but it you look further abroad it won't take long for him to flash up on your radar. Elected 3 times best Brazilian DnB DJ (2005/2010/2011) and also being alongside both Mefjus and Noisia as 'Best International Artist' at the Drum & Bass Awards 2016, it's obvious that he's a name you should do your research on. DJ Andy's journey started in in the early nineties as resident of the legendary Overnight Club, where his ear for the breakbeat, rave and jungle sounds that were finding their way from the UK across the Atlantic were to influence a whole new generation of dance music lovers. Here in the UK we know what Brazilian DJs are capable of on a pair of decks, and DJ Andy goes beyond (just head to YouTube to check out his skills!). A household name within the Brazilian electronic scene, having just celebrated 25 years in the game with a huge event packed full of international artists in his home town of Sao Paulo a testament to this. His watertight, high energy mixing style combined with his advanced scratching skills is what makes him a showman rather than a DJ. 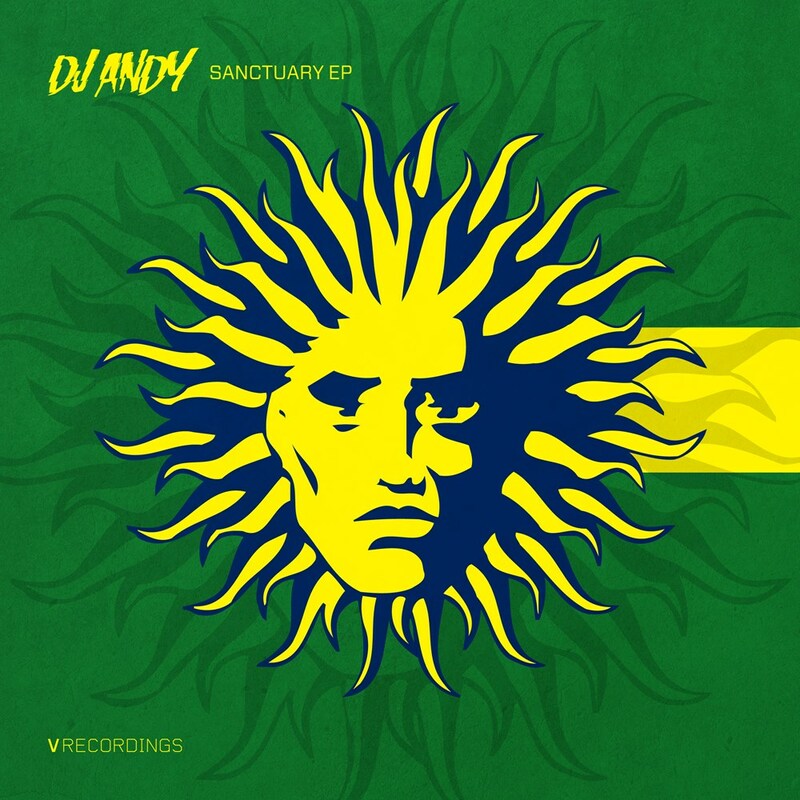 His skills are not limited to a pair of decks either, DJ Andy's production is far from a new on V having previously remixed the Krust classic 'Angles', and with excursions on Chronic as well as Grid, Phuturistic Bluez and the legendary Emotif imprint. We now see the Brazilian debut his first EP with V and it's monstrous 4 track release. From the first to the last track, a heavyweight sound remains throughout, starting with the twisted bass of 'Sanctuary'. Andy teams up with V Recordings' own L-Side & Alibi to create the sub-low reese-bass roller 'Retaliation' with Bristol's Carasel on mic duties 'Keep Rolling' and 'Let It Stomp' continues to demonstrate Andy's high production quality and proves why he's an essential character in the Brazilian scene.